Here's one to avoid while you're on the water. Reaching over the side of your boat for your camera or anything while the boat's in gear and you're all alone is not the smartest thing to do. The chances of survival if you fall into the drink are next to none. But there's one lucky Kiwi who definitely had the Olympian God of the Oceans Poseidon, looking out for him on 3 January 2017. Ross Chapman is likely to be still quivering at the knees at the thought of what could have been. Out fishing alone without a life jacket Ross pulled in the big one. It wasn't the Marlin that pulled him overboard, but dropping his camera over the side which he reached for and slipped - and the rest is history. 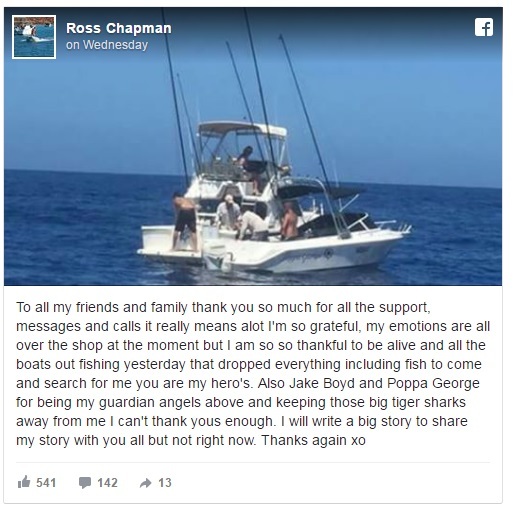 He spent five hours bobbing in shark infested waters (this is Western Australia) until help reached him. 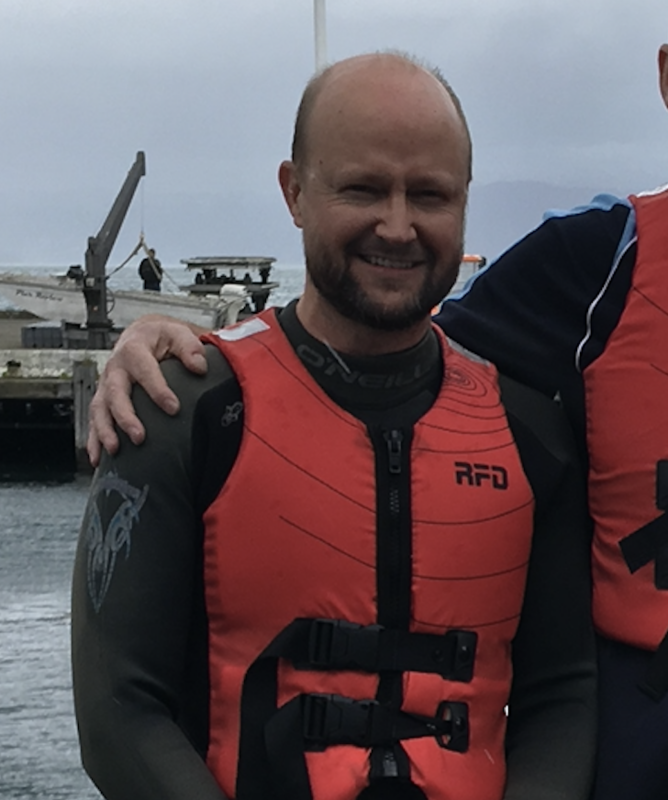 Being a speck in the ocean doesn't bode well for being rescue, and if the hypothermia doesn't get you the sharks certainly will. Not to mention fatigue from treading water and battling thoughts of just giving up. Ross was one of the lucky ones. There aren't many happy endings like Ross'. Sadly the same couldn't be said for the man boating on Lake Rotoiti the same day. Diving off his boat to recover his hat, he disappeared under the water and sadly didn't resurface. This is not an uncommon event. Of the 81 preventable drownings in 2016 in New Zealand, 14 were from powered boats, three from non powered and five from land based fishing. Falling off a boat or rocks can happen to anyone. Wearing a well fitted lifejacket could save your life as well as avoiding alcohol and having two waterproof ways to call for help. Be dumb on the water and you're done! Original generation time 1.2634 seconds. Cache Loaded in: 0.0006 seconds.